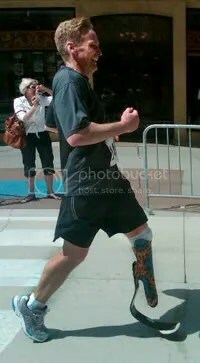 I'm a mild-mannered guy who has a secret identity; I'm not quite a super hero, I am a one-legged marathon runner. I have made a goal to run a marathon in every one of the fifty states. Join me on this journey of overcoming disabilities, changing social expectations, and pushing personal limits.